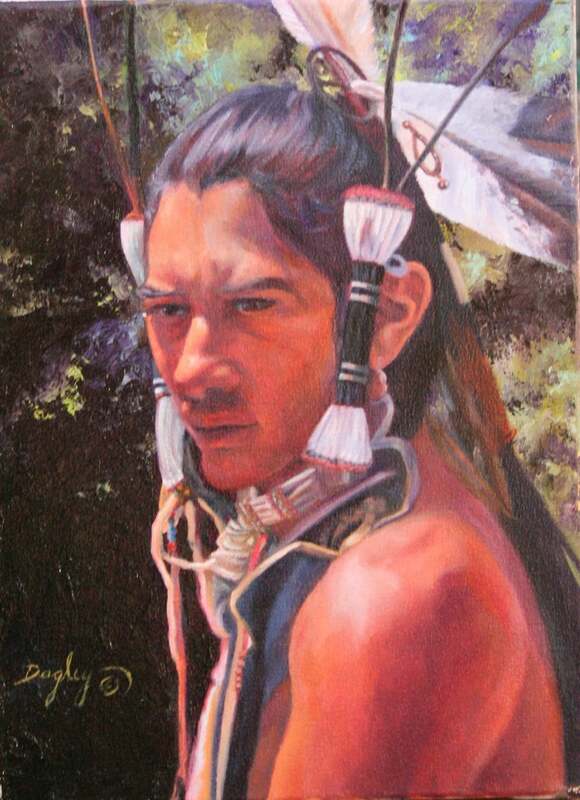 A versatile artist working primarily in oil, Keith A. Dagley, uses both brush and knife techniques. He also works in pastel, graphite and prisma pencil, and is often inspired by his own experiences. A love of family, horses and ranch life, wildlife, Native Americans and their culture – both past and present, provides a wide range in the body of his work. After graduating with a Bachelor of Arts Degree at Utah State University, Keith taught art for 33 years in Weber County, Ogden, Utah. At present, he produces art work full time. He has been featured in Celebration of Fine Art, Scottsdale, Arizona and is currently in Arizona Fine Art Expo where he will again be showing his work from January through March 2016. Keith’s work has been shown in many local, state and national exhibits where he has been presented with several awards in state and invitational shows. Over the years, he has been juried into local, state and national exhibits. His work hangs in private and commercial collections throughout the United States and internationally. His work is currently represented by Gallery 25 and Pintura Fine Art Gallery in Ogden, Utah. “Recording life, whether wild, domestic, present or historical, through my artwork fulfills a great need that I have. Capturing the personality of each animal, person, or event and sharing these experiences is the principle behind my painting,” says Keith.